Maximizing your ERP software doesn’t mean earth-shattering changes to your business. Try these tips to evaluate your current enterprise solution. Maximizing your enterprise software doesn’t have to mean buying a new solution or making earth-shattering changes to your business. An enterprise management tool is an investment, set to grow and change with your business. Whether you’re implementing a new ERP solution, or you’re reinvesting in the one you already use, here are a few ways to gain greater efficiency and increased ROI from your tools. The software you implement touches every part of your multi-faceted business, so choosing an ERP solution should be a collaborative effort. Often, tools are selected that align with strategic planning and known business needs. While this approach is incredibly effective, don’t forget to communicate across departments. Analyze all parts of your business, from your accounting to your store managers to your strategic planning team. Hearing multiple perspectives from all levels of the business can help you fully understand all your business needs, further aligning you to the correct ERP from the get-go and improve the implementation of additional tools in the future. Keep lines of communication open, especially post-implementation. Start engaging with your users to make sure business needs are being addressed appropriately by the tool’s features. Users may also need additional resources to understand the best processes to follow and functionalities to use if these tools weren’t previously being leveraged. Your ERP is more than just a solution. Along with the software, make sure to engage the available documentation, training, guidelines, support structure and community recommended by your solution provider. As your business grows, so should your solution. This involves retraining, providing documentation, and (as mentioned above) communicating with your users. Does your solution offer resources to continue helping your business and your users, even after implementation? Can you “turn on” features that you weren’t previously using due to changes in your business? Communicate with your account representatives, in addition to your users, in order to strengthen relationships and empower your business to get the most out of your solution. The right partner will work to provide you with all of the needed support and answers for any current or future functionalities. They’re there to support every need that may arise. Leveraging the right enterprise management solution features and functions for your business can be daunting. 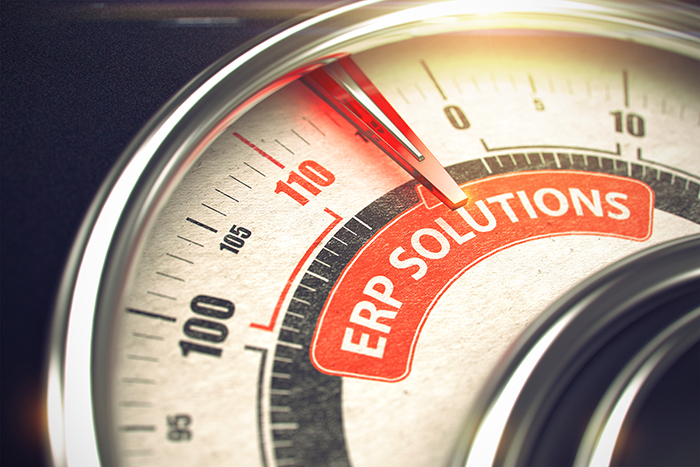 So many ERP solutions claim to have the best “this,” the trendiest “that,” and will attempt to pull out all the bells and whistles to upsell your solution. Don’t get lost in the noise or fleeting trends. Create a list of features and functions that your business requires, and make sure your solution is actively addressing them. Ask the fundamental questions that are important to your business. Explain to your representatives what your needs are, and make sure their recommendations align and tie back to your needs. As part of understanding these needs, begin reviewing your ERP on a regular basis. Find a schedule that works for you. Whether it’s quarterly, bi-annually, or annually, the exact timing can only be decided by the business needs of your unique organization. Often, after the implementation phase, many businesses become complacent, using a “this is how we always do it” explanation for processes that show a diminishing ROI. You can easily validate or improve these processes with regular reviews. If something doesn’t align to your needs, evaluate why, and make any necessary changes. Remember, what are you trying to solve? Along with the idea of “what are you trying to solve,” make sure to keep in mind, who can help you solve it? Depending on your business needs, look to your solution provider. The provider can help your business properly align your ERP solution to your needs and growth strategy. Over time, your ERP solution should continue to show proven ROI. Leverage your solution provider as a partner to help make sure that’s the case. If you discover a lack of alignment with your business goals, your provider will work with you to understand any potential gaps and any needed adjustments. Maximizing your enterprise software encompasses more than choosing a solution and implementing it for your business. As your business evolves, your solution should too. Remain open to change and continue communicating with key stakeholders in your organization to get the most out of your software now and in the future. Did You Know: Your Source for PDI News provided by PDI, the leader in enterprise management software for the convenience retail and petroleum wholesale markets. A wholesale expert will be in touch. Please provide us with this information to get started. A retail expert will be in touch. Un expert en commerce de détail communiquera avec vous. Veuillez nous fournir les renseignements nécessaires pour vous joindre. * Ces champs sont obligatoires. Un expert en vente en gros communiquera avec vous. Un expert en logistique communiquera avec vous. A logistics expert will be in touch.